Your parents and teachers probably lectured you on this topic as a child: Doing something right the first time means not having to repeat the process again. This is true when it comes to first call resolution, one of the most important healthcare call center metrics you can track for that very reason. When your agents can resolve your consumers’ concerns during their first contact with your center, they won’t have to call again. 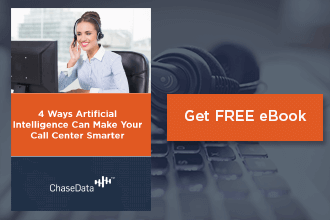 Repeated calls from the same consumer for the same issue or complaint mean wasted time and money for your contact center – and an increasingly-dissatisfied consumer. Always try to resolve your consumer’s issue on their first call to your center. While it may take additional time during that first call to ensure that their concerns have been addressed, it is almost always better to do this than to encourage additional calls. If you have been working in the field of contact center customer service for any length of time, you’re probably already familiar with the problem of employee turnover. Attrition is a similar issue, except that it is one that impacts your business from the other side. Membership attrition is the abandonment of memberships or subscriptions by consumers in order to join other companies or simply to vacate these positions entirely. In plain language, that translates to lost business. That’s why this is one of the most important healthcare call center metrics to track; you need to know how many consumers are leaving the memberships they were once a part of, where they are going, and why. 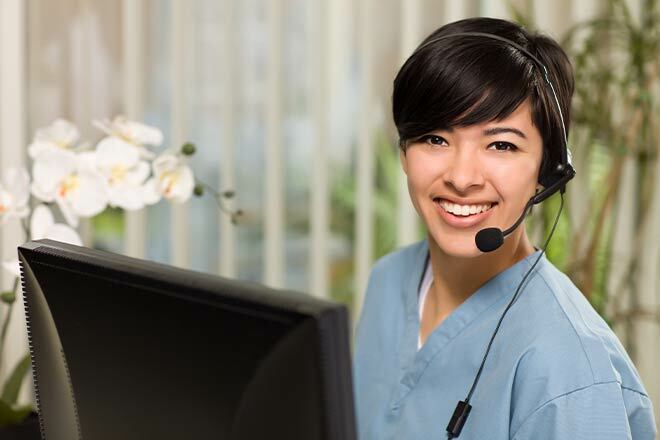 Preventing membership attrition is a major goal for any healthcare call center. When a consumer indicates that they are considering vacating their membership, use whatever options are available to persuade them to remain loyal to their commitment. This may involve waived fees, additional benefits, free items or services, or some other benefit. Often, these additional advantages of continued membership are enough to sway the consumer’s decision and keep them subscribed with the service or membership for the foreseeable future. When it comes to customer satisfaction, this may be your most obvious healthcare call center metrics to keep an eye on. The NPS, or net promoter score, is a simple one-to-ten scale that is typically offered as a survey or questionnaire at the end of a call or after a service has been provided to a patient or consumer. While it is one of the most simple and straightforward ways of tracking consumer satisfaction in your provision of service, it is also one of the most powerful. The scale is easy to understand. If your consumer gives you a nine or a ten, they are considered a promoter. This means they are happy with your services. They would recommend you to another person. They like what you’re doing. These consumers provide valuable feedback into what you’re doing well. If you receive a seven or an eight, it means that they’ve given you a passive score. They aren’t sure how they feel about your services. These are people who may have had a perfectly acceptable experience, but simply had no reason to celebrate their interaction with your company. They may have also encountered some small grievance, but overall were left with little to complain about. The last level is a score of six or less. These consumers are known as detractors. They received less-than-satisfactory service and they need you to make amends for it. These are the consumers that you want to hear from, not just because you want to fix their individual situations, but because they can help you improve your customer service moving forward. Regardless of what score you receive from a consumer, always be sure to take these scores seriously and regard them with respect as an important healthcare call center metrics. They can do a lot to help you grow and improve as a service provider. It’s easy to see that you have multiple metrics to keep an eye on as a healthcare contact center. So, how can you keep tabs on all these healthcare call center metrics at once? Contact the industry experts at ChaseData for the solution. We have everything you need to get started tracking the most important metrics for your industry, whether that’s healthcare, sales, or something else entirely. Our knowledge and experience are exactly the kind of guiding light your operation needs to find your way to a more successful future – or just do a better job keeping up with your current successes! Your consumers are important to you. At ChaseData, what is important to you is important to us. Give us a call today to get the help you need tracking the metrics that will make great things happen for you this year and every year to come!